A normal distribution has values in which the data has no bias left or right from its central value. This curve above is often called a "bell curve" since it looks like a bell seen below. From a visual standpoint, it looks like our distribution above has symmetry around the center. Let's check the mean, median and mode values are roughly equal to one another. 100 equals 100 which is very close to 101. So, it seems in this dataset that the mean, median and mode are the same values. 643 values are above the mean and 657 values are below the mean. This roughly fits our criteria to help prove that this is a normal distribution. 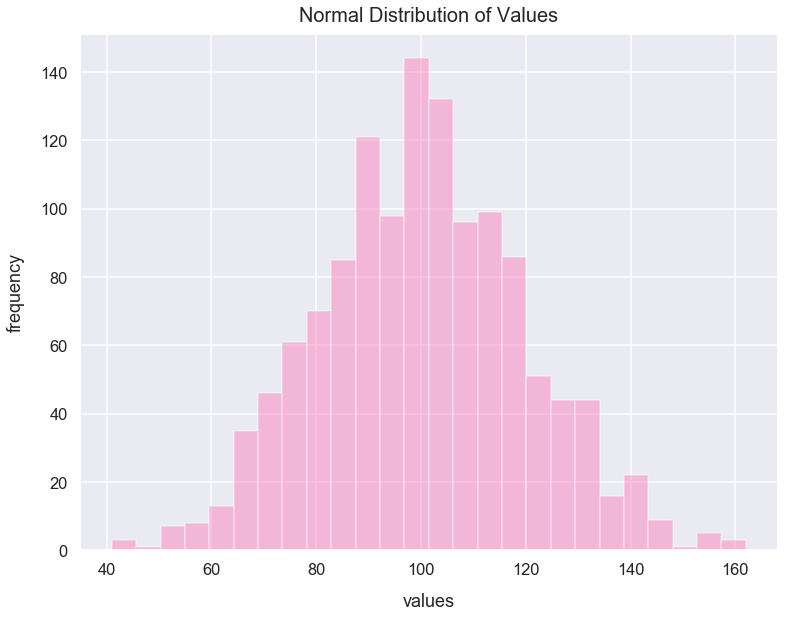 For the normal_distr_values we plotted above in a histogram. 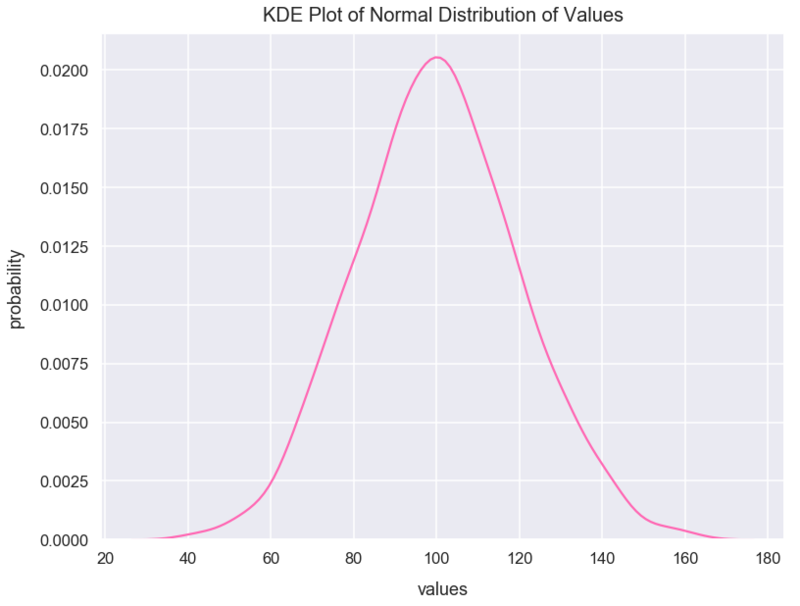 I can also plot it in KDE form which you can simply think of as a line of best fit to smooth out the histogram. 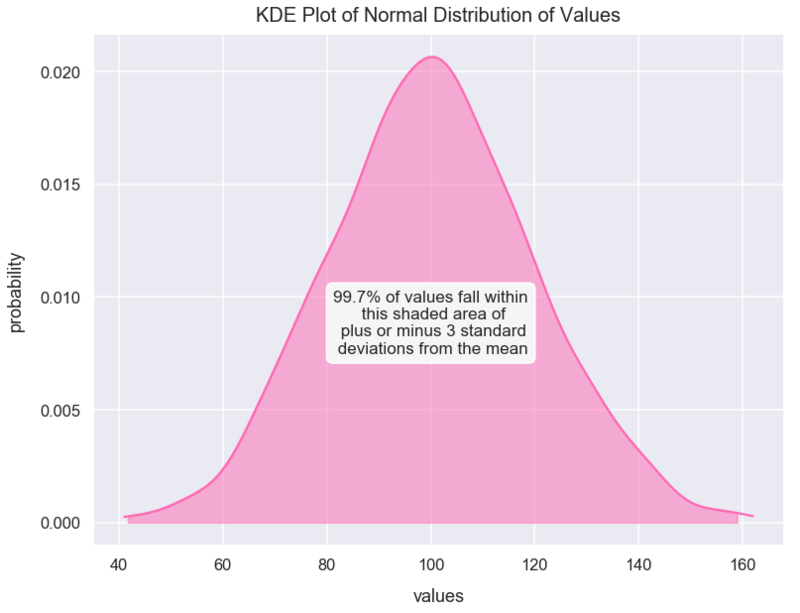 You can learn more about KDE plots in Python through this great Jake Vanderplas article. Let's calculate the values for one, two and three positive standard deviations from the mean of normal_distr_values, and one, two and three negative standard deviations from the mean of normal_distr_values. 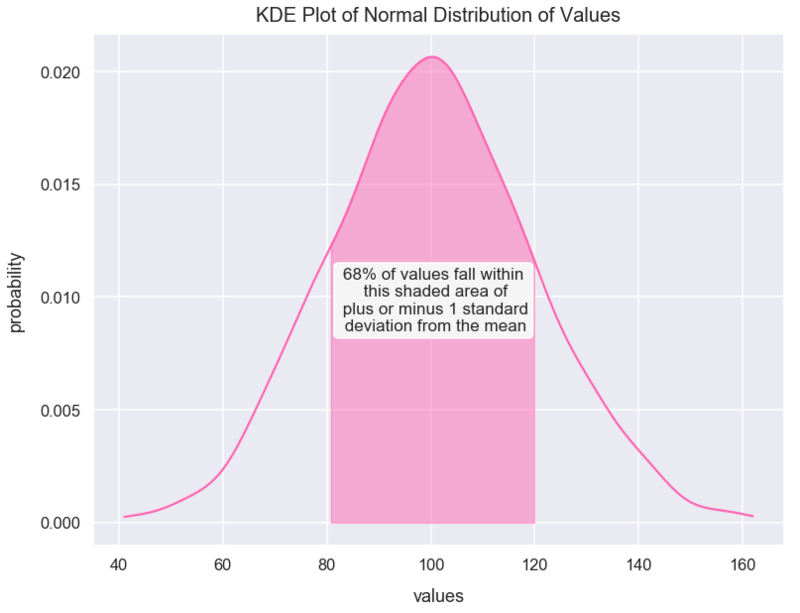 Since we have a normal distribution, the following logic on standard deviations applies to this dataset. 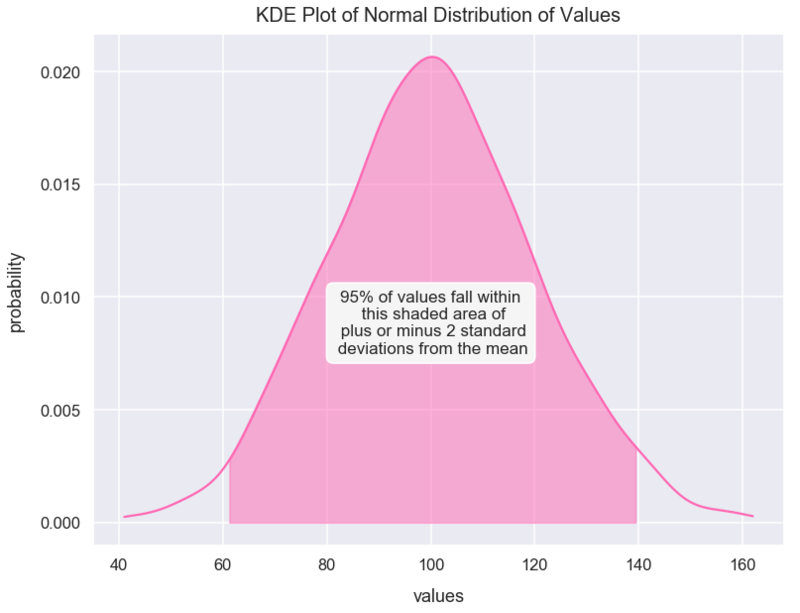 Here's a Stack Overflow article with good code on how to use shading under plots in Matplotlib.